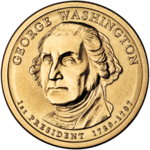 For the Presidential Coins, see Presidential $1 Coin Program. The dollar coin is a United States coin worth one United States dollar. It is the second largest U.S. coin currently minted for circulation in terms of physical size, with a diameter of 1.043 inches (26.5 mm) and a thickness of .079 inches (2 mm), coming second to the half dollar. Dollar coins have been minted in the United States in gold, silver, and base metal versions. Dollar coins were first minted in the United States in 1794. The term silver dollar is often used for any large white metal coin issued by the United States with a face value of one dollar, whether or not it contains some of that metal. While true gold dollars are no longer minted, the Sacagawea and Presidential dollars are sometimes referred to as golden dollars due to their color. Dollar coins have never been very popular in the United States since the removal of specie coins from circulation. Despite efforts by the government to promote their use, such as the Presidential $1 Coin Program, most Americans currently use the one-dollar bill rather than dollar coins. For this reason, since December 11, 2011, the Mint has not produced dollar coins for general circulation, and all dollar coins produced after that date have been specifically for collectors and can be ordered directly from the Mint, and pre-2012 circulation dollar coins are able to be obtained from most U.S. banks. 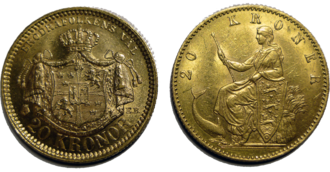 The gold dollar (1849–89) was a tiny coin measuring only 13 mm making it difficult to grasp and easy to lose, a serious problem when a dollar was almost a day's wage. Dollar coins have found little popular acceptance in circulation in the United States since the early 20th century, despite several attempts since 1971 to increase their usage. This contrasts with currencies of most other developed countries, where denominations of similar value exist only in coin. These coins have largely succeeded because of a removal (or lack) of their corresponding paper issues, whereas the United States government has taken no action to remove the one-dollar bill. The United States Government Accountability Office (GAO) has stated that discontinuing the dollar bill in favor of the dollar coin would save the U.S. government approximately $5.5 billion over thirty years primarily through seigniorage. The Federal Reserve has refused to order the coin from the mint for distribution citing a lack of demand, according to ex-Mint director Philip Diehl in November 2012. Whatever the reason, a U.S. Mint official claimed in a November 2012 meeting that most of the 2.4 billion dollar coins minted in the previous five years were not in circulation. Although the distribution of the dollar coin is limited due to lack of popularity, the Metropolitan Transportation Authority (MTA) in New York city and several other transit systems use dollar coins as change from ticket purchases from machines at stations. C: Charlotte, North Carolina (gold coins only; 1838–1861). 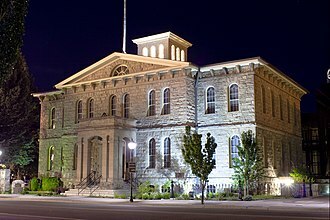 CC: Carson City, Nevada (1870–1893). D: Dahlonega, Georgia (gold coins only; 1838–1861). D: Denver, Colorado (1906 to date). O: New Orleans, Louisiana (1838–1861; 1879–1909). P: Philadelphia, Pennsylvania (1793 to date). S: San Francisco, California (1854 to date). W: West Point, New York (1984 to date). Before the American Revolutionary War, coins from many European nations circulated freely in the American colonies, as did coinage issued by the various colonies. Chief among these was the Spanish silver dollar coins (also called pieces of eight or eight reales) minted in Mexico and other colonies with silver mined from Central and South American mines. These coins, along with others of similar size and value, were in use throughout the colonies, and later the United States, and were legal tender until 1857. 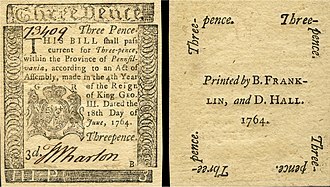 In 1776, the Continental Congress authorized plans to produce a silver coin to prop up the rapidly failing Continental—the first attempt by the fledgling U.S. at paper currency. Several examples were struck in brass, pewter, and silver, but a circulating coin was not produced, due in large part to the financial difficulties of running the Revolutionary War. The Continental Dollar bears a date of 1776, and while its true denomination is not known, it is generally the size of later dollars, and the name has stuck. 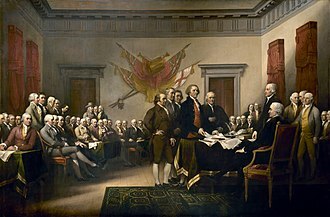 The failure of the Continental exacerbated a distrust of paper money among both politicians and the populace at large. The letters of Thomas Jefferson indicate that he wished the United States to eschew paper money and instead mint coins of similar perceived value and worth to those foreign coins circulating at the time. The Coinage Act of 1792 authorized the production of dollar coins from silver. The United States Mint produced silver dollar coins from 1794 to 1803, then ceased regular production of silver dollars until 1836. The first silver dollars, precisely 1,758 of them, were coined on October 15, 1794 and were immediately delivered to Mint Director David Rittenhouse for distribution to dignitaries as souvenirs. Thereafter, until 1804, they were struck in varying quantities. There are two obverse designs: Flowing Hair (1794–1795) and Draped Bust (1795–1804). There are also two reverse designs used for the Draped Bust variety: small eagle (1795–1798) and heraldic eagle (1798–1804). Original silver dollars from this period are highly prized by coin collectors and are exceptionally valuable, and range from fairly common to incredibly rare. Due to the early practice of hand engraving each die, there are dozens of varieties known for all dates between 1795–1803. It is also one of only two denominations (the other being the cent) minted in every year from its inception during the first decade of mint operation. 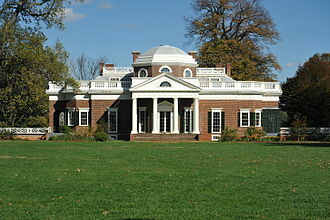 However, the order was given by President Thomas Jefferson to halt silver dollar production due to the continued exportation of U.S. dollars. The Spanish 8 Reales, which was slightly heavier than the U.S. dollar, nonetheless traded at a 1-to-1 ratio. 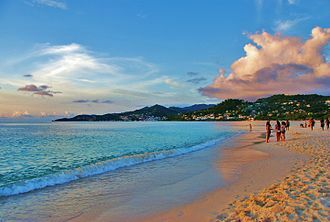 So U.S. dollars went to the Caribbean, were traded for heavier 8 Reales, and those were then brought back to the U.S., where they would be recoined for free into more U.S. dollars; the difference in silver, then, was kept by the exporter. This ensured that no dollars would circulate in the U.S., but would instead be exported for their heavier counterparts overseas, leaving little but old, foreign money to circulate in the United States in a process known as Gresham's Law. The 1804 dollar is one of the rarest and most famous and popular coins in the world. Its creation was the result of a simple bookkeeping error, but its status as the king of coins has been established for nearly a century and a half. The silver dollars reported by the mint as being struck in 1804 were actually dated 1803. (With die steel being very expensive in the early 19th century, dies were used until they were no longer in working condition. 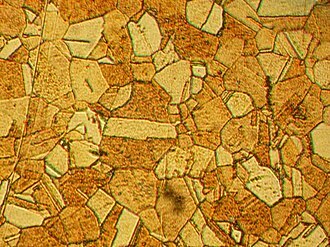 This is why many early U.S. coins exhibit all kinds of die cracks, occlusions, cuds, clash marks, and other late state die wear. Nearly every coin the U.S. struck from 1793 to 1825 has an example that was struck in a year other than that which it bears.) No dollars bearing the date 1804 were ever struck in 1804, though this was unknown to mint officials at the time the 1804 dollar came to be. The 1804 silver dollar was actually produced in 1834, when the U.S. Department of State decided to produce a set of U.S. coins to be used as gifts to rulers in Asia in exchange for trade advantages. Since 1804 was the last recorded year of mintage for both the dollar and $10 Eagle, it was decided that the set would contain examples of those coins dated 1804, as well as the other denominations currently being produced. Mint officials, not realizing that the 19,000+ dollars recorded as being produced in 1804 were all dated 1803, proceeded to make new dies dated 1804. Little did they know the stunning rarity they were creating. Only 15 silver dollars with the date of 1804 are known to exist; in 1999, one of them sold at auction for more than $4 million. There are 8 Class I dollars, struck in 1834 for the aforementioned sets, 1 Class II dollar, struck over an 1857 Swiss Shooting Thaler (and now residing in the U.S. Coin Collection at the Smithsonian Institution), and 6 Class III dollars, struck surreptitiously sometime between 1858 and 1860 to meet collector demand for the coin. Seated Liberty dollars were introduced in 1836 and were minted in lesser quantities than the sparsely minted Gobrecht dollar that preceded it. 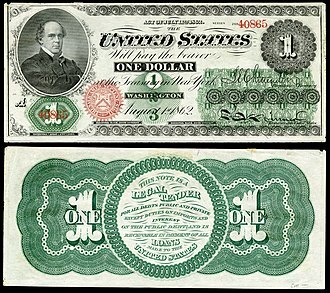 The dollars were used in general circulation until 1873. The production of large numbers of U.S. gold coins (First $1 1848 and $20 in 1849) from the new California mines lowered the price of gold, thereby increasing the value of silver. By 1853, the value of a U.S. Silver Dollar contained in gold terms, $1.89 of silver. With the Mint Act of 1853, all U.S. silver coins, except for the U.S. silver dollar and new 3 cent coin, were reduced by 22.9% as of weight with arrows on the date to denote reduction. The U.S. silver dollar was continued to be minted in very small numbers mainly as a foreign trade to the Orient. The international trading partners did not like the fact that U.S. coins were reduced in weight. The use of much more common half dollars became problematic since merchants would have to separate higher value pre-1853 coins from the newer reduced ones. 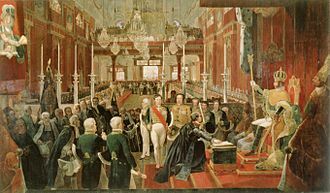 From 1853 onwards, trade with Asia was typically done with Mexican coins that kept their weight and purity in the 19th Century. This ended in 1874 when the price of silver dropped so that a silver dollar has less than $1.00 worth of silver in it (huge amounts of silver coming from the Nevada Comstock Lode mines). By 1876, all silver coins were being used as money and by 1878, gold was at par with all U.S. paper dollars. Beginning in 1878, huge amounts of the Morgan silver dollars were produced but few were used as money. The size was too large to carry on business so Silver Certificates were used instead. The mint made the coins, placed them in their vaults and issued the Silver Certificates instead. This is the reason so many Morgan and Peace dollars can be purchased in AU or UNC condition (near perfect)... they sat in bank/U.S. Treasury vaults most of the time. Each coin is composed of 0.77344 troy oz of silver. They were minted at Philadelphia, New Orleans, Carson City, and San Francisco. A Silver dollar is worth $1 in silver at $1.31 per troy ounce. The current silver price (March 10, 2017) is $17.01 per troy ounce so a silver dollar is worth, in melt value of about $13.15 US. The gold dollar was produced from 1849 to 1889. 1849 to 1853 gold dollar coins were 13 mm across and are called Type I. Type II gold dollars were thinner but larger at 15 mm diameter and were produced from 1854 to 1855. 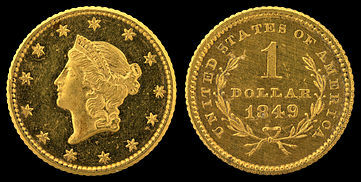 The most common gold dollar are the Type III and started in 1856 until 1889. Production US $1 gold dollars was high until the Civil War and by 1863, only the larger value gold coins were produced in large quantities. Most gold coins produced from 1863 and onward were produced for imports to pay for enormous amounts of war material and interest on some U.S. Government bonds. Many of these coins from the Civil War and after (silver coins included) are in excellent condition since they saw very limited circulation with greenbacks and postage currency taking their place. Composed of 90% pure gold, it was the smallest denomination of gold currency ever produced by the United States federal government. When the U.S. system of coinage was originally designed there had been no plans for a gold dollar coin, but in the late 1840s, two gold rushes later, Congress was looking to expand the use of gold in the country’s currency. The gold dollar was authorized by the Act of March 3, 1849, and the Liberty Head type began circulating soon afterward. Because of the high value of gold, the gold dollar is the smallest coin in the history of U.S. coinage. 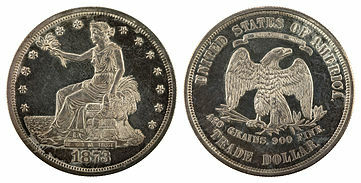 The trade dollar was produced in response to other Western powers, such as Great Britain, Spain, France, and particularly Mexico, to compete with these trade coins for use in trade in Asia. American trade dollars are 90% silver and weigh 420 grains (27.2 g), which is about 0.5 g heavier than the regular circulation Seated Liberty Dollars and Morgan Dollars. 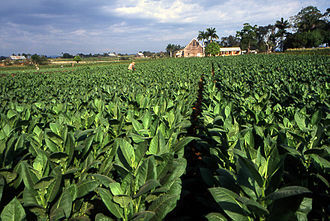 Most trade dollars ended up in China during their first two years of production, where they were very successful. 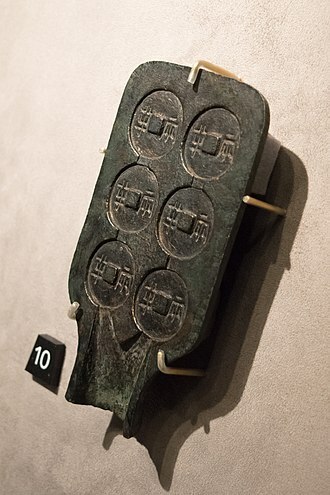 Many of them exhibit holes or chopmarks which are counterstamps from Asian merchants to verify the authenticity of the coins. 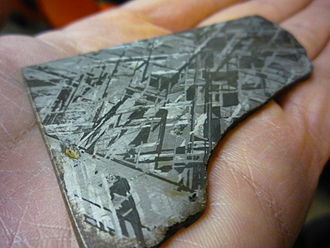 Many trade coins of the western powers and large silver coins from China, Korea, and Japan also bear these chopmarks. While most chopmarked coins are generally worth less than those without, some of the more fascinating chopmarks can actually give the coin a modest premium. 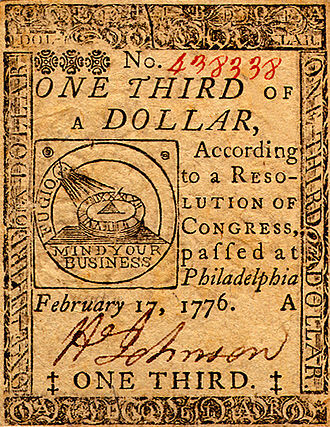 Trade dollars did not circulate in the United States initially, but were legal tender for up to $5. Things changed, however, in 1876, when the price of silver spiraled downward as western producers dumped silver on the market, making the trade dollar worth more at face value than its silver content. That resulted in trade dollars pouring back into the United States, as they were bought for as little as the equivalent of 80 US cents in Asia, and were then spent at $1 in the United States. This prompted Congress to revoke their legal tender status, and restrict their coinage to exportation demand only. However, this did not stop unscrupulous persons from buying trade dollars at bullion value, and using them for payment as $1 to unsuspecting workers and merchants. 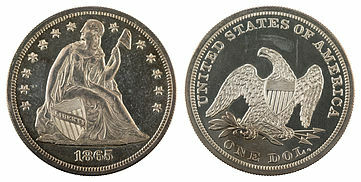 Production of the trade dollar was officially discontinued for business strikes in 1878, and thereafter from 1879–1885, produced only as proof examples of the coin. The issues of 1884 and 1885 were produced surreptitiously, and were unknown to the collecting public until 1908. In February 1887, all non-mutilated outstanding trade dollars were made redeemable to the United States Treasury, and approximately 8 million of them were turned in. Morgan silver dollars, all composed of 90% silver and 10% copper (slightly less silver than sterling silver), were struck between 1878 and 1904, with a final minting in 1921. The 1921-dated coins are the most common, and there exists a substantial collector market for pristine, uncirculated specimens of the rarer dates and mint marks. Morgan dollars are second only to Lincoln Cents in collector popularity. The coin is named after George T. Morgan, its designer. Morgan dollars were minted at Philadelphia (no mint mark), New Orleans ("O" mint mark), San Francisco ("S" mint mark), Carson City ("CC" mint mark), and (in 1921 only) Denver ("D" mint mark). The mint mark is found on the reverse below the wreath, above the "O" in "DOLLAR". Introduced in December 1921 and having the same ratio of silver-to-copper as the Morgan dollar, the Peace dollar, designed by medalist Anthony de Francisci, was promulgated to commemorate the signing of formal peace treaties between the Allied forces and Germany and Austria. These treaties officially ended the Allies' World War I hostilities with these two countries. In 1922 the Mint made silver dollar production its top priority, causing other denominations to be produced sparingly if at all that year. Production ceased temporarily after 1928; original plans apparently called for only a one-year suspension, but this was extended by the Great Depression. Mintage resumed in 1934, but for only two years. In May 1965, 316,000+ Peace dollars were minted, all at the Denver Mint and dated 1964-D; however, plans for completing this coinage were abandoned, and most of those already minted were melted, with two known trial strike specimens being preserved (for assay purposes) until 1970, when they too were melted, and none released either for circulation or collection purposes. 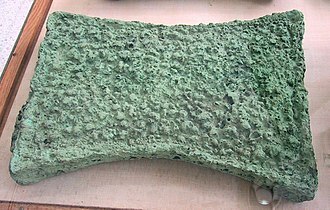 It is rumored that one or more pieces still exist, most notably any examples obtained by key members of Congress, the President, or mint officials. However, this coin, much like the 1933 $20 gold Double Eagle (aside from the "exception", sold in 2002 for over $7 million and the 10 found later), is illegal to own and would be subject to confiscation. Because of the size and weight of the dollar coins, they circulated minimally throughout their history, except in the West (especially at casinos in the early-to-mid-20th century, where they were commonly used both at the tables and at slot machines.) As a result, the coins were generally shipped to Washington and stored in the vaults of the U.S. Treasury; at times these stores numbered into the hundreds of millions. They were very popular as Christmas gifts, however, and from the 1930s to the early 1960s, many bags were annually released to banks nationwide to be distributed as presents. In November 1962, during this annual distribution, it was discovered that there were some rare and valuable dates, still sealed in their original mint bags, all in uncirculated condition, among the millions of dollar coins still in the Treasury vaults. Collectors/investors/dealers lined up to purchase them in $1,000 bags, trading silver certificates for the coins. Before this event, the great rarity of the Morgan series was 1903-O, which was by far the most expensive of the entire set. It was discovered that there were millions of this specific date and mint in the Treasury vaults; an estimated 84% of the entire mintage sat in these bags, untouched for 60 years, all in uncirculated condition. While still relatively expensive in circulated grades, uncirculated examples can be had for a modest amount over common dates. On March 25, 1964, Secretary of the Treasury C. Douglas Dillon announced that Silver Certificates would no longer be redeemable for silver dollars. Subsequently, another act of Congress dated June 24, 1967, provided that Silver Certificates could be exchanged for silver bullion for a period of one year, until June 24, 1968. Following this, the Treasury inventoried its remaining stock of dollar coins, and found approximately 3,000 bags containing 3 million coins. Many of the remaining coins were Carson City mint dollars, which even then carried a premium. The coins were placed in special hard plastic holders and the General Services Administration (GSA) was given authorization to sell them to the public in a series of mail-bid sales. Five sales were conducted in 1973 and 1974, but sales were poor, and the results unspectacular. There was much complaining among the coin buying public, many stating that the United States government should not be in the "coin business", especially considering that the government had spent little more than a dollar to mint and store each coin. After these sales, more than a million coins were still left unsold. These sat again until 1979–1980, where, amidst an extraordinarily volatile precious metals market, the remaining coins were sold under chaotic conditions. The GSA, having published minimum bids in November 1979, announced on January 2, 1980, that those minimum bids were no longer valid, and that prospective bidders would have to "call in" to a toll free number to get current minimum bids. Then, on February 21, 13 days after the bidding process officially began, the maximum number of coins per bidder was changed from 500 to 35. Many bidders, under these confusing conditions, ended up with no coins at all. Complaints again flooded in to Congress, but the damage had already been done, and the last silver dollars held by the United States Treasury were gone. Over the years, many of these GSA dollars have been broken out of their special holders for purposes of grading or otherwise, and now GSA dollars still in the unbroken original holders carry a small premium. Some third party grading companies have begun to grade coins still in their GSA holders, as a means of preservation, though this is not without controversy. From 1971 to 1978, the U.S. Mint issued dollar coins with the obverse depicting President Dwight David Eisenhower and the reverse the insignia of the Apollo 11 moon landing, both designed by Chief Engraver Frank Gasparro. The 1976 Bicentennial commemorative design, produced in 1975 and 1976, featured the Liberty Bell and the Moon on the reverse (designed by Dennis R. Williams), while retaining the Eisenhower obverse, and the dual dates 1776–1976. The Eisenhower dollars minted for general circulation contained no silver or gold, but were instead composed of the same copper-nickel clad composition used for the dime, quarter, and half dollar. This made the circulation coins extremely resistant to wear and, like the smaller denominations, they still retain a good deal of shine even when subject to mass usage. From 1971 through 1976, the Mint also produced dollars composed of 40% silver aimed at the collector market. The 1971–74 issues appeared in brown boxes or blue packages, depending on whether they were proof or uncirculated. Somewhat different Bicentennial sets were produced in the following two years. All issues remain very common. The coins were never very popular, primarily due to their large size and weight which made them inconvenient to carry and the fact that very few vending machines were designed to accept them. They saw the greatest use in casinos, and one-dollar tokens in many United States casinos still approximate the size and weight of the coins. Prior to the withdrawal of the coins, which remain legal tender (and are sometimes available at banks by request), many casinos did not strike their own tokens, but instead used the Eisenhower dollar. The Anthony clad proof dollar, 1999. 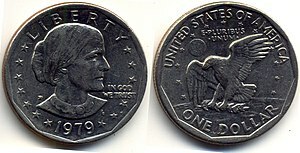 From 1979 to 1981, and again in 1999, the Mint produced Anthony Dollars depicting women's suffrage activist Susan B. Anthony (also designed by Frank Gasparro). Anthony thus became the first historical female person portrayed on circulating U.S. coinage. Many earlier circulating coins had featured images of women via allegorical figures such as Peace or Liberty; Spain's Queen Isabella appeared on the 1893 Columbian Exposition quarter dollar but the coin was not intended for general circulation. The Anthony dollars, like the Eisenhower dollars, were made from a copper-nickel clad. The 1981 coins were issued for collectors only but occasionally show up in circulation. The Anthony dollar, because of its color, size and design, was often confused with the quarter was never popular and production was suspended after 1981. In 1999, it was struck again when Treasury reserves of the coin were low and the Sacagawea dollar was still a year away from production. While reserves of the coins were high, the coins were most often seen in vending machines, transit systems and post offices. The American Silver Eagle is the official silver bullion coin of the United States. It was designed by Adolph A. Weinman and John Mercanti and it was first released by the United States Mint on November 24, 1986. It is struck only in the one troy ounce size, which has a nominal face value of one dollar and is guaranteed to contain one troy ounce of 99.9% pure silver. It is authorized by Title II of Public Law 99-61 (Liberty Coin Act, approved July 9, 1985) and codified as 31 U.S.C. 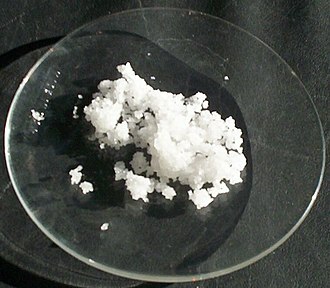 § 5112(e)-(h). Its content, weight, and purity are certified by the United States Mint. In addition to the bullion version, the United States Mint has produced a proof version and an uncirculated version for coin collectors. The Silver Eagle has been produced at three mints: the Philadelphia Mint, the San Francisco Mint, and the West Point Mint. The American Silver Eagle bullion coin may be used to fund Individual Retirement Account investments. The Sacagawea dollar was authorized by Congress in 1997 because the supply of Anthony dollars, in inventory since their last mintage in 1981, was soon expected to be depleted. These coins have a copper core clad by manganese brass. 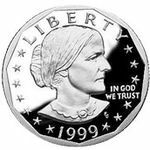 Delays in increasing Sacagawea dollar production led to a final 1999-dated mintage of Susan B. Anthony dollars. Dollar coins are used infrequently in general commerce. They used to be given as change by United States Postal Service (USPS) stamp vending machines, which created a relatively small but significant demand, but the USPS eliminated all those machines by 2011. They were also used in certain subway and public transit systems, such as the "T" in Boston. In 1998, the U.S. Mint conducted a limited design competition for the new dollar, inviting 23 artists to submit designs portraying Sacagawea on the obverse ("heads") side and American bald eagle on the reverse ("tails") side. In November 1998, an exhibit of 123 submitted designs was held at the Casa Italiana Hall in Washington, D.C. to solicit public and private comment. Design concepts were submitted in the form of drawings, renderings, sculpture and die-struck prototypes. The obverse was designed by artist Glenna Goodacre. 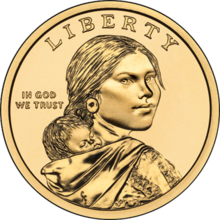 Since no verifiable image of Sacagawea exists, Goodacre used Randy'L He-dow Teton, a University of New Mexico college student and a Shoshone Indian, as a model for the coin. There are approximately 1 billion Sacagawea coins in circulation, and about 250 million in reserve. The U.S. Mint greatly reduced production of Sacagawea dollars after the 2001 minting, citing sufficient inventory. From 2002 to 2008, the Sacagawea dollar was still minted for collectors and was available in uncirculated rolls, mint sets, and proof sets, but it was not released for general circulation again until the introduction of the Native American series in 2009. The Mint took great care to create the coin with the same size, weight, and electromagnetic properties as the Anthony dollar, but with a golden color. Unlike most other coins in circulation, the selected alloy has a tendency to tarnish quite severely in circulation, as is the case with most brasses, resulting in a loss of the golden shine, except on raised areas where the "patina" is more frequently rubbed off. While some consider the blackening an undesired quality, the Mint suggests the uneven tarnishing effect gives the coins an "antique finish" that "accentuate[s] the profile and add[s] a dimension of depth to the depiction of Sacagawea and her child". 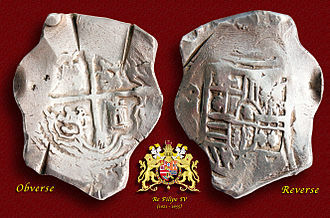 The coin featured a plain edge through 2008, but starting in 2009, incused lettering was applied. The year and mint mark moved from the coin's obverse (front) to its edge. As of 2019, dollar coins are not widely encountered in U.S. commerce, except in vending machines for rides on mass transit, some pay and display machines, some laundromats, and old-fashioned slot machines. On the other hand, the Sacagawea dollar has achieved popularity in El Salvador, Ecuador and Panama, where the U.S. dollar is also the official currency. The first Native American dollar reverse (left), issued in 2009, representing agriculture and the 2016 reverse design, which commemorates Native American code talkers in World War 1 and World War 2. With the passage of the Native American $1 Coin Act on September 20, 2007, the U.S. Mint began designing a series of Sacagawea dollars with modified reverses to further commemorate "Native Americans and the important contributions made by Indian tribes and individual Native Americans to the development of the United States and the history of the United States". Four designs were to be minted, each for one year from 2009 to 2012. The first Native American series coin was released in January 2009 and had a reverse that depicted a Native American woman sowing seeds of the Three Sisters, symbolizing the Indian tribes' contributions to agriculture. Like the Presidential Dollar, the year of issue, mint mark, and motto E Pluribus Unum are found on the edge of the coin instead of on the obverse or reverse, which allows for more room for the design. Unlike the Presidential $1 coins from before 2009, "In God We Trust" remains on the obverse and the vacant space on the edge lettering has been taken up by thirteen stars, symbolizing the Thirteen Colonies. Also, unlike any other denomination of circulating U.S. coinage (but in common with the Presidential $1 coins), the value is inscribed in numerals on the reverse. The act passed by Congress requires that 20% of the total dollar coins minted in any year during the Presidential $1 Coin Program be Sacagawea dollars bearing the new design. In January 2010, the second reverse design in the series was released which has the theme of "Government" and the "Great Tree of Peace". The 2010 Sacagawea reverse depicts the Hiawatha Belt and five arrows bound together representing unity with the inscription "Haudenosaunee", a synonym for the Iroquois Confederacy meaning "People of the Longhouse". Another inscription is found along the lower edge of the reverse spelling "Great Law of Peace" (an English translation of Gayanashagowa, the Iroquois Confederacy constitution). 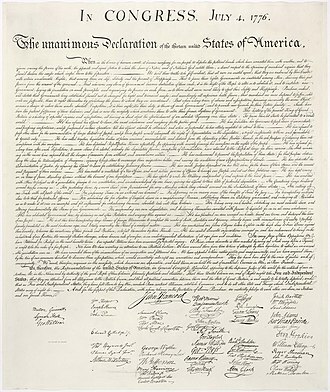 The Great Law of Peace was used as a model for the Constitution of the United States. The four links on the belt are meant to symbolize four of the five Nations of the Iroquois Confederacy, namely the Mohawk, Oneida, Cayuga and Seneca Nations. The Eastern White Pine tree in the middle of the belt represents the fifth Nation, the Onondaga, and is a depiction of the Tree of Peace. In December 2005, Congress decided to create a new series of $1 coins that would honor the former U.S. presidents. In 2007, Presidential coins of four different designs were produced. Another four designs will be produced each year, honoring the Presidents in order of service. (Grover Cleveland is on two coins, since he served two non-consecutive terms.) The Presidential $1 Coin Act is intended to create renewed interest in dollar coins, like that seen during the 50 State Quarters program. At least one third of all dollar coins produced are still Sacagawea coins, with the remaining coins making up the four presidential coins annually. Under federal law (31 U.S.C. § 5112), no coins may be issued featuring a living president, or a president who died less than two years earlier. The presidential dollar coin is the same size and composition as the Sacagawea dollar. "In God We Trust", the issue year, and the mint mark appear on the edge. The first dollar, honoring George Washington, was released into circulation on February 15, 2007. However, H.R. 2764 became law on December 26, 2007 which moved "In God We Trust" from the edge to the obverse. A common minting error on this coin, estimated at 80,000, from a mintage of 300,000,000 coins, is the omission of the edge lettering causing a plain outside edge. Because the omission includes the words "In God We Trust", some in the popular media have dubbed it the "godless" coin. A false (although at one time widely reported) error is the report that the edge lettering is upside down. The edge lettering does not occur at the same time as the minting of the coins, allowing for the natural occurrence of the lettering in either orientation, except Proof Coins where the date and lettering are all "right-side-up". Because of budget constraints and increasing stockpiles of these relatively unpopular coins, the production of new Presidential dollar coins for circulation was suspended on December 11, 2011, by U.S. Treasury Secretary Timothy F. Geithner. Future minting of such coins has been reserved solely for collectors. On July 20, 2018, President Donald Trump signed the American Innovation $1 Coin Act into law. The program calls for the release of four new coins each year from 2019 through 2032 “to honor innovation and innovators by issuing $1 coins for each of the 50 states, the District of Columbia and the five U. S. territories – Puerto Rico, Guam, American Samoa, the U.S. Virgin Islands, and the Northern Mariana Islands.” A pattern coin, commemorating George Washington signing the country’s first patent into law, was released in December 2018. ^ "Circulating Coins - U.S. Mint". www.usmint.gov. 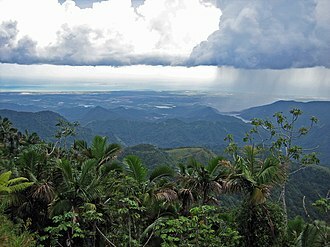 ^ Anderson, Gordon T. (April 25, 2005). "Congress tries again for a dollar coin". CNN Money. Retrieved June 26, 2012. ^ "presidential-dollar-coins". United States Mint. Retrieved 2016-04-10. ^ "native-american-coins". United States Mint. Retrieved 2016-04-10. ^ a b U.S. GAO. "U.S. Coins: Replacing the $1 Note with a $1 Coin Would Provide a Financial Benefit to the Government". U.S. GAO. Retrieved 2011-08-16. ^ Northrup, Laura. "Dollar Coins Save The Government Money Because You'll Just Throw Them In A Jar". Consumerist. ^ "Testimony of Philip Diehl before House Financial Services Committee, Nov. 29, 2012" (PDF). ^ Straw, Joseph; Lysiak, Matthew; Murray, Rheana (Nov 30, 2012). "Congress considers getting rid of dollar bills for $1 coins to save money". New York Daily News. Retrieved Jan 7, 2013. ^ Rothbard, Murray (2002). A History of Banking in the United States (PDF). Auburn: Ludwig von Mises Institute. ISBN 978-0-945466-33-8. ^ National Museum of American History. "First United States Silver Dollar, 1794". Legendary Coins & Currency. Smithsonian Institution. Retrieved 2009-03-13. 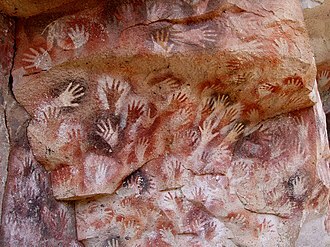 ^ NGC Photo Proof (1994). "1798–1804 Silver Dollar Draped Bust Heraldic Eagle". CoinSite. ROKO Design Group, Inc. Retrieved 2009-03-13. ^ CoinFacts.com: Liberty Head Gold Dollars. Retrieved September 9, 2006. ^ Coin Community: Gold Dollar Liberty Head Type 1 History. Retrieved September 9, 2006. 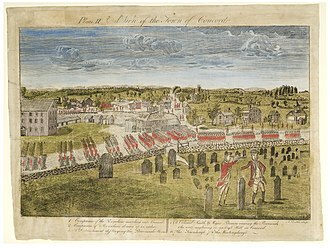 ^ Yeoman, Richard and Kenneth Bressett (ed. ), A Guide Book of United States Coins (56th edition), (New York: St. Martin’s Press, 2002. ISBN 978-1-58238-188-6.) 196–198. ^ Alan Herbert (6 November 2005). Coin Collecting 101 What You Need to Know. Krause. p. 145. ISBN 0-89689-182-8. ^ NGC Photo Proof (1994). "1878–1921 Silver Dollar Morgan". CoinSite. ROKO Design Group, Inc. Retrieved 2009-03-13. ^ NGC Photo Proof (1994). "1921–35 Silver Dollar Peace". CoinSite. ROKO Design Group, Inc. Retrieved 2009-03-13. ^ The '64 Dollar Question. Retrieved 27 August 2010. ^ "FAQs: Buying, Selling & Redeeming Currency". U.S. Treasury. 25 June 2007. Retrieved 2009-03-13. ^ "Text of December 20, 1968 Letter to the President from Secretary of the Treasury Henry H. Fowler" (Press release). U.S. Treasury. 30 December 1968. Retrieved 2009-03-13. ^ Bryan Sonnier (1993). "GSA Carson City Silver Dollars: A History as Tumultuous as That of the Morgan Silver Dollar Itself". CoinResource. Retrieved 2009-03-13. ^ "Morgan Silver Dollar Coins". GFL.com. Retrieved 2009-03-13. ^ Susan Headley. "The 1895 Morgan Dollar – The King of Morgans – The Most Valuable Morgan Dollar". About.com. Retrieved 2009-03-13. ^ "NGC to Grade Dollars in GSA Holders". Collectors Society. 2003-01-02. Retrieved 2009-03-13. ^ NGC Photo Proof (1994). "1971–78 Dollar Eisenhower". CoinSite. ROKO Design Group, Inc. Retrieved 2009-03-13. ^ a b Mitch, Sanders (March 2006). "Modern Dollar Coins". Numismatist: 114. Archived from the original on 2012-02-26. Retrieved 2009-03-13. ^ "Publication 590: Individual Retirement Arrangements" (PDF). United States Department of the Treasury, Internal Revenue Service. January 7, 2010. p. 47. Archived (PDF) from the original on 5 January 2010. Retrieved January 12, 2010. ^ "U.S. Mint Coin and Medal Programs - U.S. Mint". www.usmint.gov. 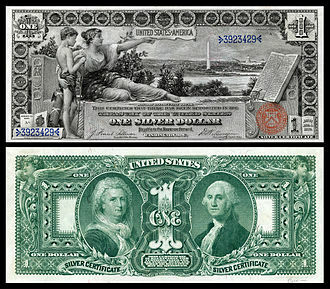 ^ "Other Suggested Designs For The Golden Dollar". www.smalldollars.com. ^ "The Golden Dollar Coin Featuring Sacagawea". United States Mint. Archived from the original on 2004-12-14. Retrieved 2009-03-13. ^ a b The United States Mint. "US Mint: Dollar Coin FAQ". Usmint.gov. Retrieved 2010-11-03. ^ "Coin and Medal Programs" (PDF). Retrieved 2010-11-03. ^ Anderson, Gordon T. (2005-04-27). "Congress tries again for a dollar coin". CNN. Retrieved 2010-05-01. ^ Susan Headley (3 April 2007). "Washington Dollar Update". About.com. Retrieved 2009-03-13. ^ "Flaw Is Found in Some Coins of New Dollar". The New York Times. Associated Press. 8 March 2007. Retrieved 2009-03-13. ^ Morgan, David S. (March 7, 2007). ""Godless" Dollar Coins Slip Through Mint". CBSNews.com. Associated Press. Retrieved July 6, 2010. ^ a b "U.S. Mint Coin and Medal Programs - U.S. Mint". www.usmint.gov. ^ "The United States Mint Coins and Medals Program". Department of the Treasury. Retrieved 1 August 2012. ^ "American Innovation $1 Coin Program". USMint.gov. United States Mint. Retrieved 8 March 2019. Financial Impact of Issuing the New $1 Coin, GAO/GGD-00-111R, Apr. 7, 2000. New coin unlikely change?, Steve Cranford, Charlotte Business Journal, July 21, 2000. Elizabeth White (December 14, 2005). "New coins will depict dead former presidents". The Boston Globe. Retrieved 2009-03-13. Barbara Hagenbaugh (December 15, 2005). "Dollar coin series will feature presidents". USA Today. Retrieved 2009-03-13. Wikimedia Commons has media related to Dollar coins of the United States. Sacagawea, Sakakawea or Sacajawea, was a Lemhi Shoshone woman who helped the Lewis and Clark Expedition achieve each of its chartered mission objectives exploring the Louisiana Territory. Sacagawea is an important part of the Lewis and Clark legend in the American public imagination, posthumously, in 1977, she was inducted into the National Cowgirl Hall of Fame, in Fort Worth, Texas. 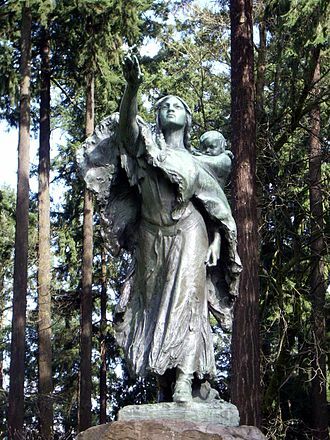 In 2001, she was given the title of Honorary Sergeant, Regular Army, see In art and media as well as Memorials Reliable historical information about Sacagawea is very limited. She was born into an Agaidika of Lemhi Shoshone tribe between Kenney Creek and Agency Creek near Salmon, Idaho in Lemhi County and she was taken as a captive to a Hidatsa village near present-day Washburn, North Dakota. At approximately age 13, Sacagawea was taken as a wife by Toussaint Charbonneau and he had taken Otter Woman, another young Shoshone, as his wife. Charbonneau was reported to have purchased both wives from the Hidatsa, or to have won Sacagawea while gambling, Sacagawea was pregnant with her first child when the Corps of Discovery arrived near the Hidatsa villages to spend the winter of 1804–05. Captains Meriwether Lewis and William Clark built Fort Mandan and they interviewed several trappers who might be able to interpret or guide the expedition up the Missouri River in the springtime. They agreed to hire Charbonneau as an interpreter because they discovered his wife spoke Shoshone and Sacagawea moved into the expeditions fort a week later. Lewis recorded the birth of Jean Baptiste Charbonneau on February 11,1805, Clark and other European Americans nicknamed the boy Little Pomp or Pompy. In April, the expedition left Fort Mandan and headed up the Missouri River in pirogues and they had to be poled against the current and sometimes pulled from the riverbanks. On May 14,1805, Sacagawea rescued items that had jumped out of a boat, including the journals and records of Lewis. The corps commanders, who praised her quick action, named the Sacagawea River in her honor on May 20, by August 1805, the corps had located a Shoshone tribe and was attempting to trade for horses to cross the Rocky Mountains. They used Sacagawea to interpret and discovered that the tribes chief, Lewis recorded their reunion in his journal, Shortly after Capt. Clark arrived with the Interpreter Charbono, and the Indian woman, who proved to be a sister of the Chief Cameahwait. And Clark in his. The Intertrepeter & Squar who were before me at Some distance danced for the joyful Sight, the Shoshone agreed to barter horses to the group, and to provide guides to lead them over the cold and barren Rocky Mountains. The trip was so hard that they were reduced to eating tallow candles to survive, when they descended into the more temperate regions on the other side, Sacagawea helped to find and cook camas roots to help them regain their strength. When the corps reached the Pacific Ocean, all members of the expedition—including Sacagawea, in January, when a whales carcass washed up onto the beach south of Fort Clatsop, Sacagawea insisted on her right to go see this monstrous fish. On the return trip, they approached the Rocky Mountains in July 1806, on July 6, Clark recorded The Indian woman informed me that she had been in this plain frequently and knew it well. David Rittenhouse was a renowned American astronomer, clockmaker, surveyor, scientific instrument craftsman and public official. Rittenhouse was a member of the American Philosophical Society and the first director of the United States Mint, Rittenhouse was born in a small village within Philadelphia called Rittenhousetown. 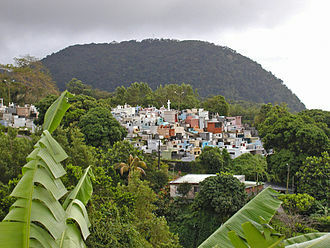 This village is located near Germantown, along the stream Paper Mill Run, when his uncle William Rittenhouse died, Rittenhouse inherited his uncles set of carpentry tools and instructional books. Using his uncles tools, he began a career as an inventor, at a young age, Rittenhouse showed a high level of intelligence by creating a working scale model of his great-grandfather William Rittenhouses paper mill. He built other scale models in his youth, like a working waterwheel and he was self-taught from his familys books, never attended elementary school, and showed great ability in science and mathematics. When Rittenhouse was 13 years of age, he had mastered Isaac Newtons laws of motion, when he was 19, he started a scientific instrument shop at his fathers farm in what is now Valley Forge Medical Center & Hospital, located in East Norriton Township, Pennsylvania. 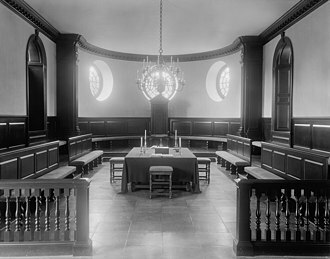 His skill with instruments, particularly clocks, led him to construct two orreries, the first for The College of New Jersey, the second for the College of Philadelphia. Both of these still exist, with each being held by their original recipients, one in the library of the University of Pennsylvania. Astronomers who had been studying the planet Venus chose Rittenhouse to study the path of Venus in 1769. Rittenhouse was the person to study the mysterious planet, as he had a personal observatory on his family farm. His telescope, which he himself, utilized grating intervals. His telescope is similar to some modern-day telescopes. Rittenhouse served on the American Astronomical Society, and this was another factor in being chosen to study Venus, throughout his life he had the honour to serve in many different clubs and committees. In 1768 he was elected to membership in the American Philosophical Society and he served as librarian and after Benjamin Franklins death in 1790, he became Vice president served as president of the society until 1796. The Draped Bust dollar is a United States dollar coin minted from 1795 to 1803, and was reproduced, dated 1804, into the 1850s. The design succeeded the Flowing Hair dollar, which began mintage in 1794 and was the first silver dollar struck by the United States Mint, the designer is unknown, though the distinction is usually credited to artist Gilbert Stuart. The model is unknown, though Ann Willing Bingham has been suggested. Due largely to a decrease in the amount of silver deposited at the Philadelphia Mint, in 1804, coinage of silver dollars was halted, the last date used during regular mint production was 1803. In 1834, silver production was temporarily restarted to supply a diplomatic mission to Asia with a special set of proof coins. Officials mistakenly believed that dollars had last been minted with the date 1804, a limited number of 1804 dollars were struck by the Mint in years, and they remain rare and valuable. Coinage began on the first United States silver dollar, known as the Flowing Hair dollar, in 1794 following the construction, the Coinage Act of 1792 called for the silver coinage to be struck in an alloy consisting of 89. 2% silver and 10. 8% copper. However, Mint officials were reluctant to strike coins with the unusual fineness and this caused depositors of silver to lose money when their metal was coined. During the second year of production of the Flowing Hair dollar and it is unknown what prompted this change or who suggested it, though numismatic historian R. W. It is possible that the Flowing Hair design was discontinued owing to public disapproval. It has been suggested that Philadelphia socialite Ann Willing Bingham posed as the model for the coin, several sketches were approved by Mint engraver Robert Scot and de Saussure and sent to President George Washington and Secretary of State Thomas Jefferson to gain their approval. After the plaster models were created, the engravers of the Philadelphia Mint began creating hubs that would be used to make dies for the new coins. It is unknown exactly when production of the new design began, R. W. Julian, places the beginning of production in either late September or early October 1795, while Taxay asserts that the first new silver dollars were struck in October. Coin collecting is the collecting of coins or other forms of minted legal tender. Coins of interest to collectors often include those that circulated for only a time, coins with mint errors. Coin collecting can be differentiated from numismatics, in that the latter is the study of currency. Though closely related, the two disciplines are not necessarily the same, a numismatist may or may not be a coin collector, and vice versa. A coins grade is a determinant of its value. For a tiered fee, a third party service like PCGS or NGC will grade, attribute. Over 80 million coins have been certified by the four largest services, people have hoarded coins for their bullion value for as long as coins have been minted. However, the collection of coins for their value was a development. Evidence from the archaeological and historical record of Ancient Rome and medieval Mesopotamia indicates that coins were collected and catalogued by scholars and it seems probable that individual citizens collected old, exotic or commemorative coins as an affordable, portable form of art. Contemporary coin collecting and appreciation began around the fourteenth century, during the Renaissance, it became a fad among some members of the privileged classes, especially kings and queens. The Italian scholar and poet Petrarch is credited with being the pursuits first and most famous aficionado, following his lead, many European kings and other nobility kept collections of ancient coins. Perhaps because only the wealthy could afford the pursuit, in Renaissance times coin collecting became known as the Hobby of Kings. During the 17th and 18th centuries coin collecting remained a pursuit of the well-to-do, but rational, Enlightenment thinking led to a more systematic approach to accumulation and study. During the 19th and 20th centuries, coin collecting increased further in popularity, the market for coins expanded to include not only antique coins, but foreign or otherwise exotic currency. Coin shows, trade associations, and regulatory bodies emerged during these decades, as one of the oldest and most popular world pastimes, coin collecting is now often referred to as the King of Hobbies. The San Francisco Mint is a branch of the United States Mint and was opened in 1854 to serve the gold mines of the California Gold Rush. It quickly outgrew its first building and moved into a new one in 1874 and this building, the Old United States Mint, known affectionately as The Granite Lady, is one of the few that survived the great 1906 San Francisco earthquake. It served until 1937, when the present facility was opened, within the first year of its operation, the San Francisco mint turned $4 million in gold bullion into coins. The second building, completed in 1874, was designed by Alfred B, mullett in a conservative Greek Revival style with a sober Doric order. Heroic efforts by Superintendent of the Mint, Frank A. Leach, and his men preserved the building, the mint resumed operation soon thereafter, continuing until 1937. In 1961 the Old Mint, as it had known, was designated a National Historic Landmark. It became a California Historical Landmark in 1974, the given name of The Granite Lady is somewhat of a misnomer as most of the building is made from sandstone. While the base/basement of the building is made of granite, the entire external, the Granite Lady was a marketing term given in the 1970s that stuck. The Old Mint was open to visitors until 1993, in the fall of 2005, ground was broken for renovations that would turn the central court into a glass-enclosed galleria. In 2006 Congress created the San Francisco Old Mint Commemorative Coin, the first phase of renovations were completed in 2011. In 2014, the San Francisco Museum and Historical Society began raising money for the second phase, in 2015, the City of San Francisco looked for a new tenant to renovate and program the space with Activate San Francisco Events being selected as an interim tenant. Until a new tenant is found, the Old Mint will continue to be used for special events, in April 2016, the California Historical Society agreed to undertake the restoration of the building and its preservation as a public space. The new Mint was opened in 1937, beginning in 1955, circulating coinage from San Francisco was suspended for 13 years. The gold dollar or gold one-dollar piece is a gold coin that was struck as a regular issue by the United States Bureau of the Mint from 1849 to 1889. The coin had three types over its lifetime, all designed by Mint Chief Engraver James B, the Type 1 issue has the smallest diameter of any United States coin minted to date. A gold dollar coin had been proposed several times in the 1830s and 1840s, Congress was finally galvanized into action by the increased supply of bullion caused by the California gold rush, and in 1849 authorized a gold dollar. In its early years, silver coins were being hoarded or exported, Gold did not again circulate in most of the nation until 1879, once it did, the gold dollar did not regain its place. 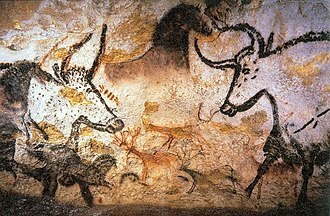 In its final years, it was struck in small numbers and it was in demand to be mounted in jewelry. The regular issue gold dollar was last struck in 1889, the following year, Congress followed Hamiltons recommendation only in part, authorizing a silver dollar, but no coin of that denomination in gold. In 1831, the first gold dollar was minted, at the mint of Christopher Bechtler in North Carolina. Additional one-dollar pieces were struck by August Bechtler, Christophers son and he was opposed by the Mint Director, Robert M. Patterson. Woodbury persuaded President Andrew Jackson to have pattern coins struck, in response, Patterson had Mint Second Engraver Christian Gobrecht break off work on the new design for the silver one-dollar coin and work on a pattern for the gold dollar. Gobrechts design featured a Liberty cap surrounded by rays on one side, and a palm branch arranged in a circle with the denomination, consideration was given to including the gold dollar as an authorized denomination in the revisionary legislation that became the Mint Act of 1837. Nevertheless, after Mint Director Patterson appeared before a congressional committee, in January 1844, North Carolina Representative James Iver McKay, the chairman of the Committee on Ways and Means, solicited the views of Director Patterson on the gold dollar. Obverse: Sacagawea with her son Jean Baptiste Charbonneau, US national motto, year and Liberty on top. David Rittenhouse's home as it appeared c. 1919. From its lawn, in 1769, Rittenhouse and Franklin observed the transit of Venus. Diagram from David Rittenhouse's observations of the 1769 transit of Venus. Grave of David Rittenhouse at Laurel Hill Cemetery in Philadelphia. Henry William de Saussure was Director of the Mint when production began on the Draped Bust dollar. Elias Boudinot assumed his duties as Director of the Mint on October 28, 1795.